Before we jump the gun though, we know this is only the first step of your journey. The aim of our site is to show you why you should take this step with us. After all, we know there are plenty of driving instructor in north York Toronto and Scarborough to choose from. When, why and how we do it. There are other B.D.E accredited driving schools in North York of course. Before you look elsewhere though, check our prices. Full details and pricing for our courses and individual driving lessons can be found on our Car Course and (for trucks) Air Brakes pages. We hope you like what you see, but if you need a little more detail, our FAQ page answers some common questions about our services. Use our contact page if you have a question that’s not answered by our site content. We love to hear from you and will answer your question promptly.For detailed information about driver education and licensing, here’s our handy link to the official Drive test website. If you’re not yet ready to sign up for a training package, be sure to check back regularly. Perhaps you are thinking about driver lessons as a gift for someone else. 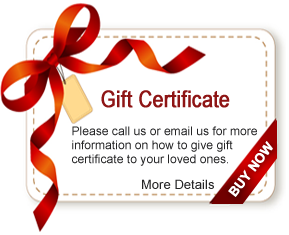 We offer gift certificates for use towards all our driving instruction programs. If you’d like to book ahead for a scheduled course, our online registration form makes it easy to book your course today.When you’re ready to visit us, you can find a map, directions and more information about our location in Peanut Plaza here. If you’ve come this far, there’s no stopping you. What are you waiting for? Come along and see us today (please give us a call first on 416-497-0204). One of the Leading Driving Schools in North York, Toronto, Scarborough, and Markham, Ontario (ON) – B.D.E Beginner Driver Education Program. 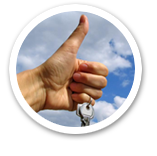 Get the most ideal driving instruction from one of the most reputable driving schools in Ontario. All Wheels Driver Training provides comprehensive B.D.E Beginner Driver Education Program. in Toronto, North York, Scarborough, and Markham, ON. With over 23 years of exemplary driving education, we offer strategic and secure driver’s training to match the needs of every student. From beginner’s driving lessons to air brake system education for truck driving, every course meets the standard of the Ministry of Transportation and offers immeasurable driving skill to participants. Effective Driving Lessons in Ontario – B.D.E Beginner Driver Education Program. Get a G2 license in just 8 months, master the skill of defensive driving, reduce car insurance costs, or understand air brake systems for trucks and large vehicles. No matter your goal, All Wheels Driver Training holds the key to achieve them with precision and absolute proficiency. Our driving school in Toronto features patient and friendly instructors, classroom and in-car instructions, as well as state-of-the-art training vehicles fitted with dual controls. Beyond the curriculum approved by the Ministry of Transportation (MTO), our highly qualified driving instructors in Scarborough, Markham, and North York, ON also focuses on preparing you for the road, making sure you can drive with total confidence and expertise, regardless of road conditions. Check out our complete B.D.E Beginner Driver Education Program. and experience why we’re one of the most recommended driving schools in Ontario. We offer flexible driving lessons to fit your needs and budget as well as easy payment plans for your convenience. Learn from one of the most trusted driving schools in North York, Toronto, Scarborough, and Markham, Ontario. Check out our B.D.E Beginner Driver Education Program. and air brake system training for truck driving. For more information, check out our FAQ page and for additional questions, simply give our ON driving instructors a call at 416-497-0204.